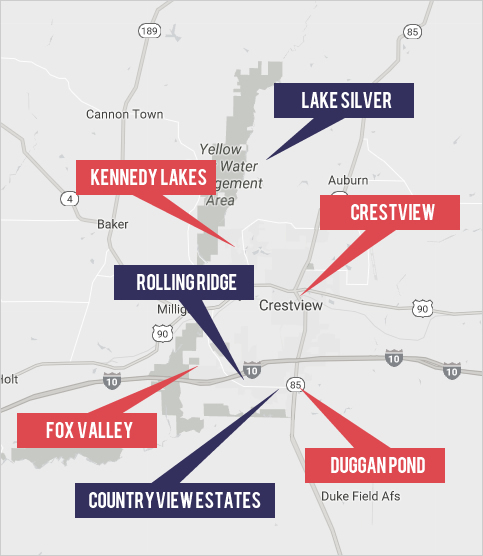 At Eagle Realty Professionals, Inc., we pride ourselves on our ability to navigate the Crestview, FL Real Estate market on behalf of our clients. As the premier independent real estate brokerage serving Crestview, FL we specialize in working with our clients achieve their goals and dreams within the real estate market. We started as a small family veteran owned and operated real estate brokerage and have continued to distinguish ourselves in the real estate market through serving our clients best interest whether through property management, buying, selling, or investing services.